Alzheimer’s disease (AD) is a degenerative neurological condition likely caused by accumulation of amyloid beta (Aβ) plaques and tau protein tangles in the brain, which ultimately leads to cell deterioration and death. Development of plaques and tangles are to some degree normal with increasing age, but patients with Alzheimer’s disease have excessive levels of such accumulations. Though these plaques and tangles in the brain are highly associated with AD, it is understood that the development of the disease is not based on one condition alone, but is rather a result of complex interactions between many factors. Physical manifestations of AD can include memory loss, behavioral changes, and a decreased ability to perform everyday functions. In late stages of the disease, symptoms often include inability to recognize family and friends, loss of controlled movements, and difficulty or incapability to swallow. These severe symptoms have devastating effects on society. Family and community members must often step up and provide full-time aid to the affected individual, as they slowly become unable to care for themselves. As the disease progresses, the person can become disoriented in very familiar environments and lose logical thinking and perceptions of danger, resulting in safety concerns for that individual. 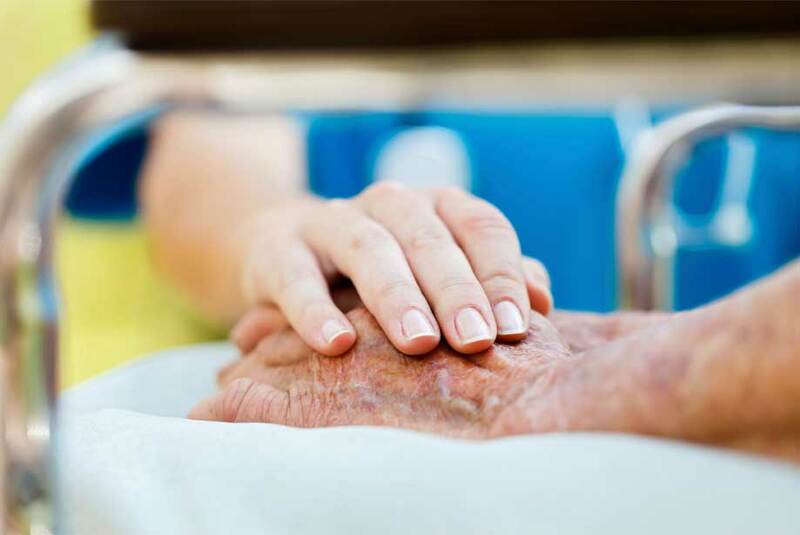 At the point when the affected person becomes incapable of living on their own, their families are often faced with extreme financial, physical and emotional stress on their quest to provide their loved one with the proper and necessary full-time care. Though many of the physical signs of Alzheimer’s disease are known, current research focuses on the largely unexplained pathological mechanisms that lead to the development and progression of the disease. At present, there are five FDA-approved medications which act in different ways to ameliorate the symptoms of Alzheimer’s disease. Cholinesterase inhibitors aim to retain neurotransmitter levels in the synapses between neurons. NMDA receptor antagonist medications focus on maintaining appropriate levels of a specific neurotransmitter, which is heavily involved in cellular degradation. The last class of these medications is a combination treatment of the above two types (Cholinesterase inhibitors and NMDA receptor antagonist). According to the Alzheimer’s Association, these current treatments are geared towards improving the symptoms caused by the disease. So far, there has been no available treatment capable of preventing the development of AD. 12/15LO is an enzyme in the central nervous system that produces 12- and 15-hydroxyeicosatetraenoic acids (12- and 15-HETE) as its major metabolite. A new and promising development involves the use of 12/15-lipoxygenase (12/15LO) inhibitors such as PD146176, which slows down memory loss as well as Aβ plaques and tau protein tangles formation. Dr. Chu and collaborators from Temple University demonstrated a functional role for 12/15LO in the pathogenesis of AD and described a potentially revolutionary class of treatments for AD patients. This study used triple-transgenic mice (3xTg), which are mutant for APP, PS1, and tau genes. 3xTg mice can develop plaques and tau tangles leading to significant memory loss and implicating the phenotypes for AD. In their study, the experimental group (3xTg) was given PD146176 (a 12/15LO inhibitor) with vehicle included in their diet starting at three months of age. The control group was given vehicle with no PD146176 added. All mice were 12 months old at the time the behavioral testing was conducted and they were then sacrificed 2 weeks later for analysis. Using Enzo Life Sciences’ 12(S)-HETE ELISA kit with mouse brain homogenates, they quantified the levels of 12(S)-HETE to indicate 12/15LO activation and therefore, an increased formation of plaques and tangles. Levels of 12(S)-HETE were significantly reduced in mice that received PD146176 as compared to the control group. This data has led the investigators to suggest the potential role that 12/15LO inhibitors could play in the development or progression of AD. Furthermore, 12/15LO has been shown to have interesting pleiotropic effects on the B-secretase pathway. The B-secretase pathway is responsible for changes in Aβ and the decreased phosphorylation of tau protein, which is itself a result of a decrease in the SAPK/JNK pathway. Though both Aβ and tau malfunction individually play critical roles in the development of Alzheimer’s Disease, decreases in both Aβ plaques and insoluble tau phosphorylation/buildup were observed concurrently as a result of a decrease of 12/15LO. In order for up-and-coming treatment methods to gain traction, it is vital that governmental funding supports continued research. Another challenge of developing treatments is the difficulty of recruiting patients during clinical trial studies. The National Alzheimer's Disease Genetics Study is a joint program between the Alzheimer's Association and the National Institute on Aging which collects genetic information from families with a history of Alzheimer’s disease. Their goal is to pinpoint specific genes which may confer a susceptibility to AD and identify them as biomarkers of the disease. The current direction of many AD research platforms is to either identify an individual’s potential to develop the disease before they show symptoms or to target the underlying cellular mechanisms that cause cell damage and death to prevent these pathways from doing so (Solomon et al., 2014). This step is crucial as the demonstration of AD symptoms is an indication that the neurological damage is already underway. Enzo Life Sciences offers a comprehensive product portfolio for advancing your discoveries in neuroscience research including our APP ΔC31 ELISA kit and our new ApoE4 monoclonal antibody. In addition, Enzo offers apoptosis-related antibodies, immunoassays, live cell analysis kits, and proteins, some of which are listed below. J. Chu, et al. Pharmacologic blockade of 12/15-lipoxygenase ameliorates memory deficits, Aβ and tau neuropathology in the triple-transgenic mice. Mol. Psychiatry. (2015). A. Solomon, et al. Advances in the prevention of Alzheimer’s disease and dementia. J. Intern. Med. (2014) 275:229. ﻿﻿Pan-Caspase Inhibitor. Z-VAD-FMK acts as an effective irreversible caspase inhibitor with no cytotoxic effects and, therefore, is a useful tool for studying caspase activity.